We are one of the UK’s leading Windscreen Replacement & Repair companies with over 25 years experience so be assured you're in safe hands. What we do is simple: Any Glass, Any Car, Van or Truck – Anywhere. 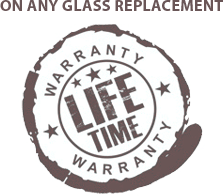 With over 52 branches Nationwide you will never be far away for getting a fast windscreen fitting service and we only ever use highly trained and experienced staff with quality OEM Windscreens and Side Windows of which all come with a Lifetime Warranty. A poorly fitted windscreen can be very dangerous and weaken the structure of your vehicle. Here at Autoscreens we only use OEM bonding adhesives from SIKA and OEM quality glass from manufactures such as Pilkington Glass (Triple X), Sekurit, Guardian, SIV, to name a few. By working to your vehicle original manufactures standard we restore your vehicle perfectly to its original structural strength, crucial to your and your vehicle’s safety. For any further information on Windscreen Facts, please call 0800 018 08 08.